Posted byMei 18 April, 2012 5 November, 2015 4 Comments on Is IPad a Good Diversion from Scratching? Free IPad Apps Marcie Loves! My hubby got me an IPad recently, so that I can tweet at night while still making sure that Marcie doesn’t scratch in bed (I’m @MarcieMom!). As expected (going by how the kids are hoarding the display Ipad in stores), Marcie loves the IPad and intuitively can swipe, squeeze (to zoom out) and stretch (to zoom out) her fingers! As all parents of eczema child know, scratching is bad but seems to feel good for the child, and we’re always looking for a way to keep them off scratching. So, we’ve let Marcie play with the IPad, but only for no more than 30 minutes and only when she catches me tweeting on it (I don’t play any game, not yet anyway). I find that it’s effective when it comes to occupying her fingers, and the apps are so interesting! 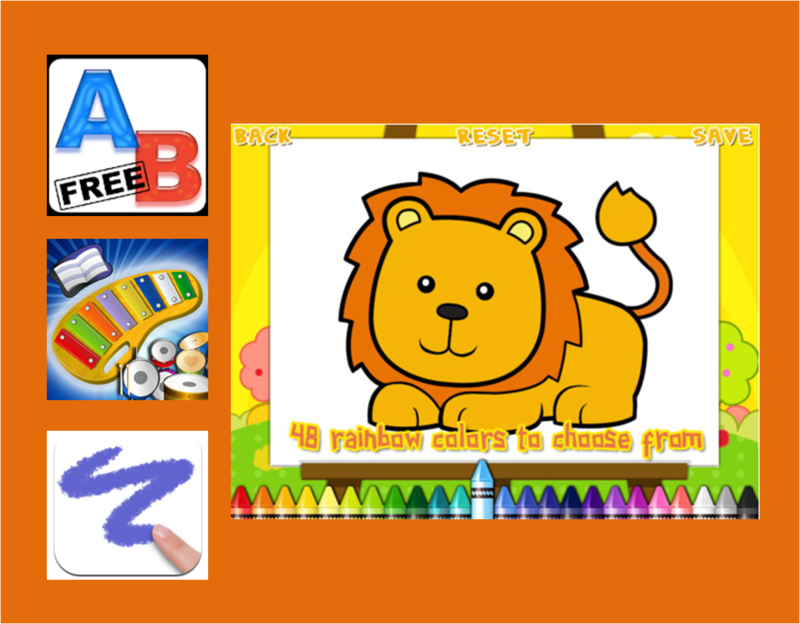 In the picture are Marcie’s favorite free apps – ABFree, Music Sparkle, Doodle Buddy and Coloring Book. Her fingers can be occupied with tapping the ABC, flicking the circle up and down the screen, tapping on crayon and drawing on the IPad! But as with all things, I googled to find out the impact of IPad on kids and I’m amazed that it helps special kids. Here’s a quick pros and cons list. 1. Catches the attention of the child – It’s better than scratching till blood and reinforces learning; you can always go for apps by trustworthy developers, see recommendations from Mums with Apps and here. Lastly, we as parents can’t be hooked on the IPad ourselves (“Plugged-in Parents“) and deprive our children of needed attention! What’s your take on this? I am an IPad avid fan myself and both my kids love it! But here are some of the self improvised rules whenever I use them. 1. The iPad is mine and not theirs. Reason: they have to learn to ask to use it, learn how to take care of it and also return it at the end of the day. 2. Time restrictions: 10 min for the 15mth old, not more than 30min at one go for the older (took this chance to introduce eye break). 3. Earn for their play time (for the older one). He had to do his work to earn play time (for now he is only allowed to play IPad over the weekends). So any cranky or misbehaviour, I will take away his privilege. 4. Sharing is a virtue. If the siblings can share and watch nicely together, I will usually lengthen the play for another 10min. I wrote this post sometime ago, and since, I’ve realized that letting Marcie play iPad = to making her HOOKED on it, not want to go to bed and usually tend to be more hyper instead of settling down closer to bedtime. What’s your take on iPading?